Former Chief of Defence Intelligence AVM Monday Morgan Riku confirmed as the Guest Speaker at the University of Mkar SEC 2nd Public Lecture. Former Chief of Defence Intelligence AVM Monday Morgan Riku comfirmed as the Guest Speaker at the University of Mkar SEC 2nd Public Lecture. 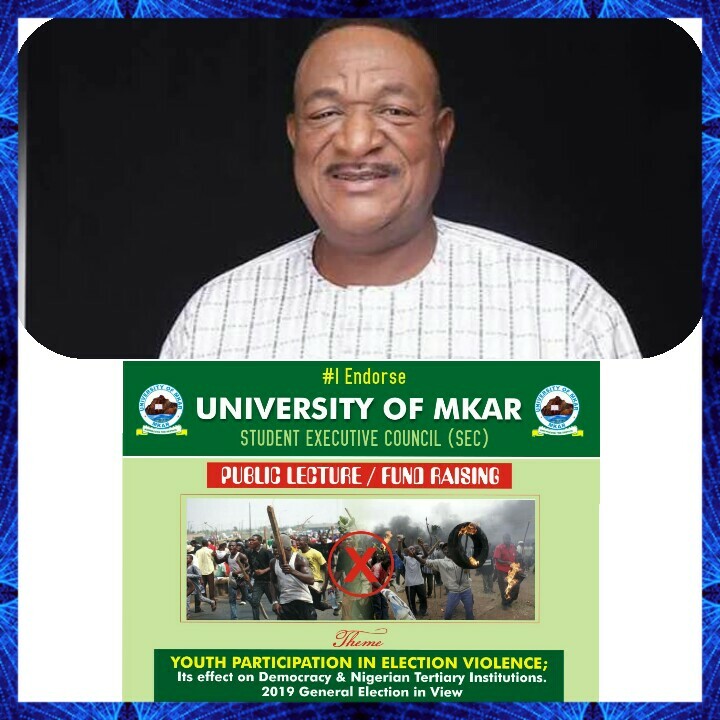 Former Chief of Defence Intelligence AVM Monday Morgan is set to deliver a lecture at the Annual University of Mkar Student Executive Council Public Lecture and Fund raising themed Youth Participation in Election Voilence; Its effect on Democracy and Tertiary Institutions in Nigeria. AVM Morgan expressed joy at what he described as a wonderful effort by the students in creating awareness on the ills and menace of Youth Participation in election violence stressed the need for all politicians to shun every form of election violence as regards to the use of youths, students and even adults in perpetrating such violence. As one who have occupied one of the highest security position in the country, AVM Morgan said he was very well awear of the dangers of arming youths during elections. 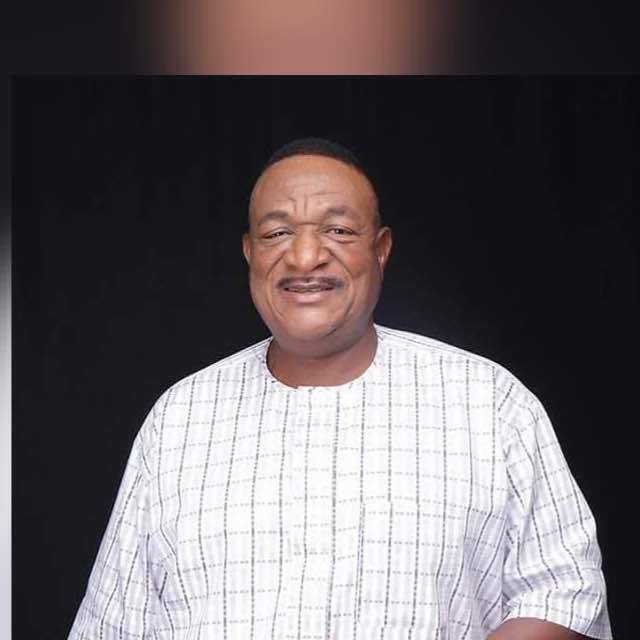 He was of the opinion that those politicians who armed youths for the purpose of rigging or causing confusion during elections did not mean well for the society at all. AVM Morgan stressed much on the massive proliferation of small and light arms in the country which has led to increased youth violence, cult related activities amongst youths and even secondary school students. AVM Monday Morgan assured the students of his physical presence and a well tailored and reseached paper presentation noting that the issue of youth violence, cultism and other related youth shenanigans bothers him alot and that is why since his retirement he has successfully been in the forefront of educating and enlightening young people on the need to pursue educational Excellency and shun thuggery, violence, cultism, drugs other social vices capable of destroying the very foundation of our society. He also thanked the school management led by Professor Iorwuese Dickson Gernah for given the students such a wonderful platform and support to express them self in such manner and advised other tertiary institutions in the state and Nigeria in general to embibe the culture of supporting young people as the youths in every society formed the nucleus of that very society. Reacting to news men, the president University of Mkar Student Executive Council Rt Comr John Acha thanked Air Vice Marshal Monday Morgan Riku Rtd for accepting to present the lecture as a guest speaker as his acceptance goes a long way to show how much the General believe in the youths and students of the State.. Comr Acha told news men that AVM Monday Morgan was the first choice of the student community to deliver the lecture because the General has always been youth friendly for as long as he could remember. According to Comr Acha John, AVM Monday Morgan Riku Rtd is the highest Security personel to ever attain the height of a Chief Defence Intelligence of Nigeria in the state, aside that he is a man who has never showed interest in politics before and as such he had no affiliation to any candidate or political party in the state thus he was very much capable of delivering a very fair and educative paper prrsentation free from political bias. 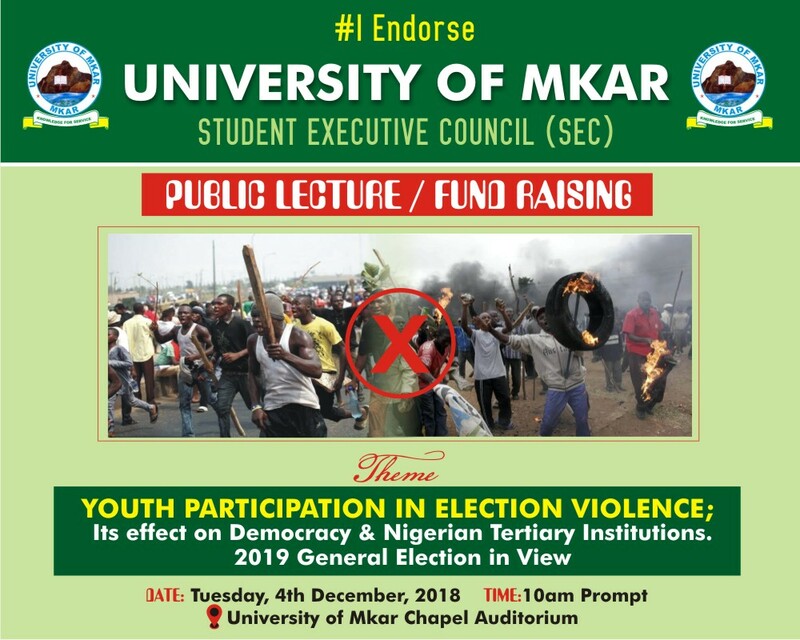 The lecture is set to hold on Tuesday 4th of December 2018 at the University of Mkar Chapel auditorium. Time is 10am prompt.